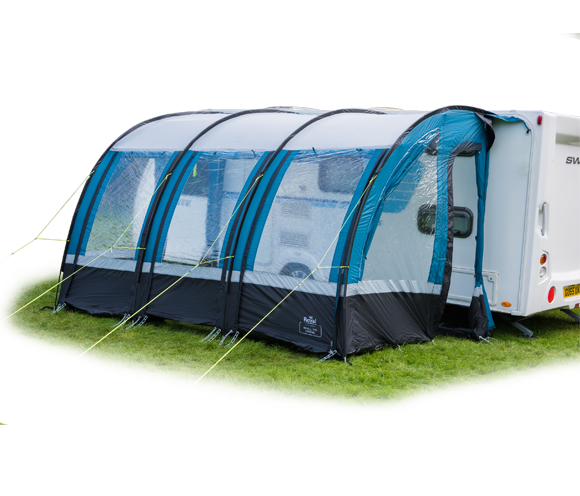 The Oxhill 390 Awning is a lightweight, easily assembled caravan awning. 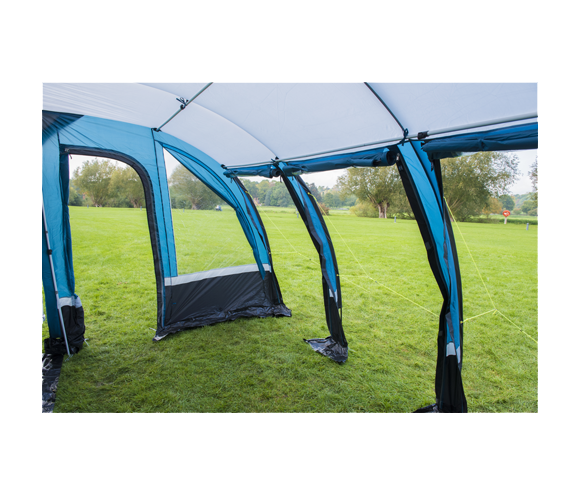 It's perfect for creating an unforgettable experience in the great outdoors. For your convenience, all tie down straps, pegs and reflective guy ropes are included in the purchase, guaranteeing an easy set up. 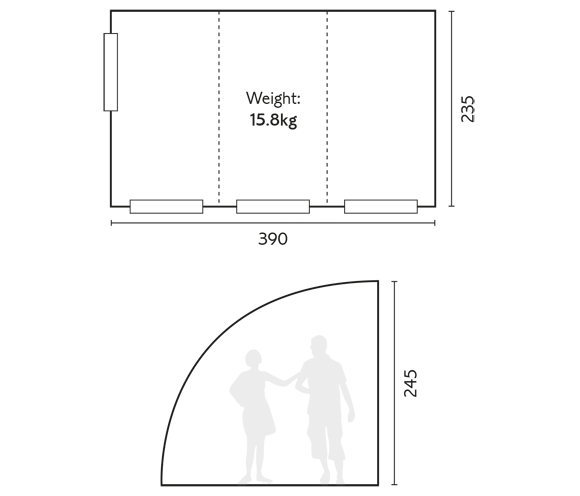 With a manageable weight of 15.8kg and a much smaller packed size, it is also easily stored and transported. 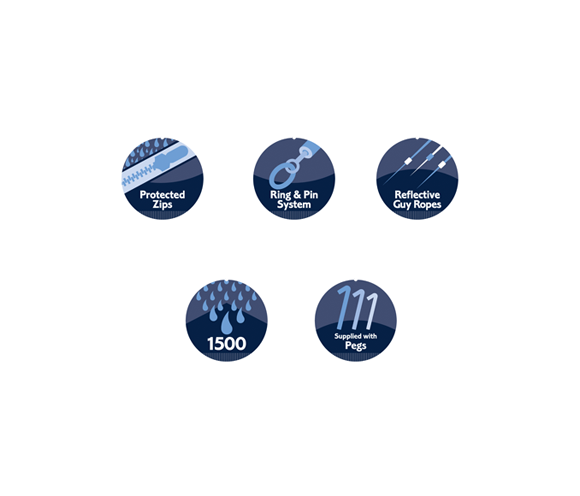 Made from a high quality 190T polyester material with taped seams, this awning is protected heavily against wear and tear and the 12.7mm fibre-flex poles are great for withstanding adverse weather conditions. 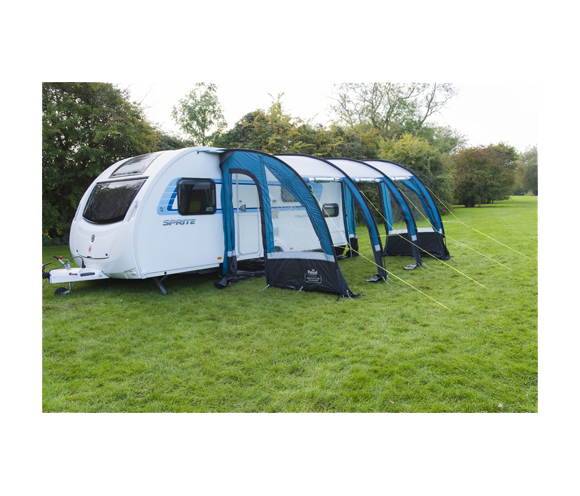 The 3 roll up front panels and large windows allow plenty of natural light to enter and brighten up the awning.